Lost amid the weekend speculation that Zack Greinke was being traded to the Brewers for Angel Salome, J.J. Hardy, Manny Parra and Mat Gamel, was the sheer and utter stupidity of such a trade. Let's put it this way, if it sounds too good to be true, than it isn't. So let's just filter through all the nonsense of offseason rumors, because the fact is, people make things up. What I'm here to do today, is tell you all of the players that will not be traded by, or to, the Brewers in this year's Hot Stove League. And really? Zack Greinke? Don't be stupid. Zack Greinke - Royals - (16-8, 2.16 ERA) - Hey, here's a good trade. Let's send the best pitcher in baseball to Milwaukee for a veteran shortstop coming off his worst career year (Hardy), a third base prospect with strikeout problems (Gamel), and a defensively challenged, slap hitting catcher whose been suspended for steroids (Salome). Ask yourself, does this make sense for Kansas City? It's not like they already have a third base prospect drafted ahead of Ryan Braun (Alex Gordon). It's not like Greinke is signed through 2012. This isn't wishful thinking, it's delusional. Josh Johnson - Royals - (15-5, 3.23 ERA) - Why wouldn't a team trade a talented young pitcher under club control for the next two seasons for mid-level prospects, I mean it would make sense for Milwaukee. Johnson is good, and the ace of Florida's staff, he's not going anywhere so don't waste time pretending he is. Tim Lincecum (15-7, 2.48 ERA) Matt Cain (14-8, 2.89 ERA) - Giants - I'm not even going to write any reasons why this won't happen. Stupider than stupid, don't even think it. Milton Bradley - Cubs - (.257, 12 HR, 40 RBI's) - Why would you even want this to happen? There is no good answer to that question. Dan Haren - D'backs - (14-10, 3.14 ERA) - HAHAHAHAHAHAHAHAHAHAHA, this is me laughing in the face of anyone who thinks this could happen. Chad Billingsley - Dodgers - (12-11, 4.03 ERA) - I repeat, teams don't trade good young pitchers under club control that have ace-type ability. Guys like Billingsley. So, there is no way in hell that any of these players will be wearing the barley on there hats in 2010, so don't waste my time (and yours) by talking about it. You'll notice the focus on pitching here, let's be honest, that's all the team really needs. Jeff Suppan - (7-12, 5.29 ERA) - He can't be traded, it's not possible without eating his entire contract. 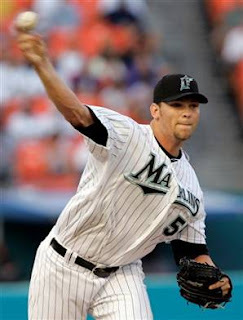 Will he be in the rotation? It's no guarantee, it wouldn't be a shock to see if the Brewers eat his contract after his abysmal showing over the first three years of his deal, but we can't trade him. Once you accept that, you'll feel much better. 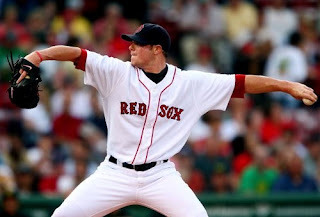 Roy Halladay - Blue Jays - (17-9, 2.70 ERA) - This wasn't going to happen in season, but now that the Brewers seem more willing to deal a prospect like Mat Gamel or sell high on Casey McGehee packaged with J.J. Hardy and maybe a minor leaguer or two. 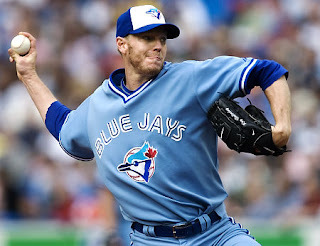 Still, I don't think Halladay will be traded at all so don't get your hopes up. Javier Vazquez - Braves - (15-10, 2.87 ERA) - It seems like every team that has Vasquez is willing to trade him, and he was even rumored to the Crew for about an hour and a half near the trade deadline. Still, Vazquez is consistent, and can be dominant. Maybe he won't win for you in the postseason, but he sure will get you there. The Braves will not trade him. So there you have it. A comprehensive list of pitchers that won't be playing for the Milwaukee Brewers in 2010. So don't bother listening to any rumors that bring any of those players to the Brew Crew. Hahaha, I missed that trade rumor. Hilarity. Ranks right up there with the rumors that the Pack was gearing up to trade for Joe Thomas. Why Gripe About a Win?